Welcome to Everything Nancy Rue. I hope there is something here for each of you, whether you are a reader, a writer, a seeker of all things Christ - or all of the above. And if you don't discover exactly what you seek, please contact me so you can tell me just what that is. Who are you, nancy rue? Because her name is easy to mistake with that of a certain blonde amateur sleuth in a little blue roadster, Nancy Rue often finds more name recognition than she expects. This is somehow fitting, because it was partly her childhood admiration for Nancy Drew – in the days when she read everything she could get her hands on – that made her dream of becoming a writer. At first, daunted by the criticism of well-meaning high school English teachers, Rue majored in English at Florida’s Stetson University in order to become a high school English teacher herself. “There was so much damage I wanted to make up for in my own classroom,” she says. She earned her master’s degree in education at the College of William and Mary. Rue’s teaching experience fanned her dream of writing as she attempted to make writing more relevant and fun for her students. Every assignment they had to do, she herself did as well, and both her love for writing and her confidence that she could be good at it grew. She spent fifteen years getting up at 4:00 a.m. most mornings to write before going off to teach school, until she was finally able to pursue freelance writing full-time in 1995. “I try to live a God-guided life,” says the author: “doing what I was meant to do, what I love to, what allows me to give what I’ve been given. I spend as much of my time teaching, filling my well, hanging out with the people I love, as I do writing, and that has made all the difference." 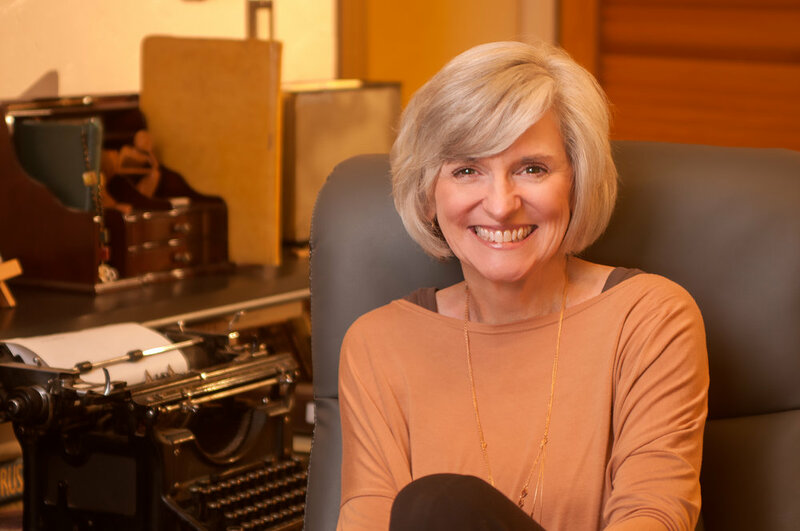 2015 marks Nancy Rue's 34th year as a published writer. In that time, she has become a best-selling author of books for ‘tweens, teens and adults. Over her career she’s written more than 120 books and has won two Christy Awards as well as the Women of Faith Novel of the Year distinction.For a complete list of titles, click here. Nancy has expanded her offerings to include a mentoring program for budding authors with dreams of their own. Click here for more information about, Doorways: Writer's Mentorship for Women, and From Shadow To Shelf. Nancy travels North America speaking and teaching at writer's conferences, and holding writing intensives. Please contact Nancy if you are interested in more information on booking her for a workshop or event.She lives in Tennessee with her husband, Jim. Their daughter, Marijean, son-in-law, Brian, and five-year-old granddaughter Maeryn, live in nearby Nashville. The Rues’ yellow lab, Geneveve, chocolate lab, Gibbs, and tabby cat, King Arthur share Jim and Nancy’s home, and without them writing would be difficult.